Choosing a place to stay in the Maldives is a daunting decision to anybody with a budget. You have been saving for the trip for a long time and you want to make sure that you have the most memorable vacation. Finding the right balance between luxury, exclusivity and value can be really hard and the more you read about all the resorts available the more you will want to pull your hair off. Are all resorts made equal? The answer is a rotund no. Even within the same price range, what you get varies a lot. Most sites, articles and resort websites point at the goods but rarely mention the trade-offs which are so difficult to spot even for the most experienced of travelers. TripAdvisor reviews are subjective and when you are reviewing a place as magical as the Maldives it is almost impossible not to remember only the great things. There is something about the blue of the ocean and the privacy of your own tropical villa that helps you forget any annoyance to the point that, if you spend enough time on TripAdvisor you may start wondering if guests were paid for a positive review. With your expectations. If you know what you want and the type of traveler you are then your life will be much easier. We put together the Ultimate Guide to the Best Resorts in the Maldives here to help you find the right slice of paradise for you. Ask yourself if you are looking for privacy vs. facilities; family vs. couple; action vs. relaxation. Are you a foodie? Do you value eco-friendly resorts? Do you dive or surf? Also, do you want to catch a seaplane to farther destinations or go by a shorter boat ride. So which one did we choose? 2. Convenient arrival/departure times. Being close to a larger island we could take a domestic flight to get back to Male and make the most of the last day by flying out in the evening. Seplanes are fun and a great way to see the atolls from the sky but they only fly during the day. The domestic airport in Male is not the best way to start the trip though. What trade-off did we make? Aside from the relatively high nightly rate the only drawback from the resort is the limited shared facilities. 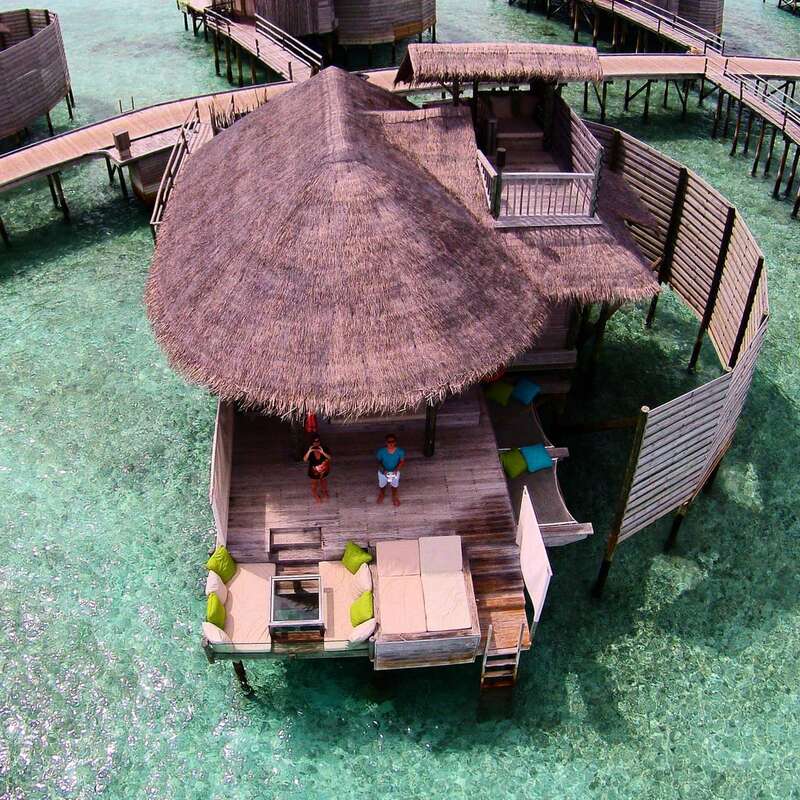 Over water villas are fantastic and you will be hard pressed to want to venture out but occasionally we craved a change of scenery. There are sunbeds on a strip of beach by the water sports center and over water hanging hammocks by the bar from which you can jump straight into the sea but we did miss having a freshwater pool by which to relax and enjoy a cocktail. Lounging and cocktails is the ultimate definition of an island getaway and as I am not a beer drinker I missed having a cocktail readily available. In my previous visit to the Maldives this is one of the most remarkable memories I have: lazing around the adults-only infinity pool at the Conrad Rangali to the sound of their great chill out playlist with a fabulous cocktail in hand. Minor detail but if you are staying at the resort for a long time or you are not looking for an active holiday this may be lacking. On the plus side, they were building a swimming pool which will be available soon so hopefully this solves this issue. Aside from this we could not fault them on anything. Despite our very demanding palate, our extremely spoiled traveler alter-egos and the uber high expectations that were coming with the high price tag and the previous stay at the Conrad. 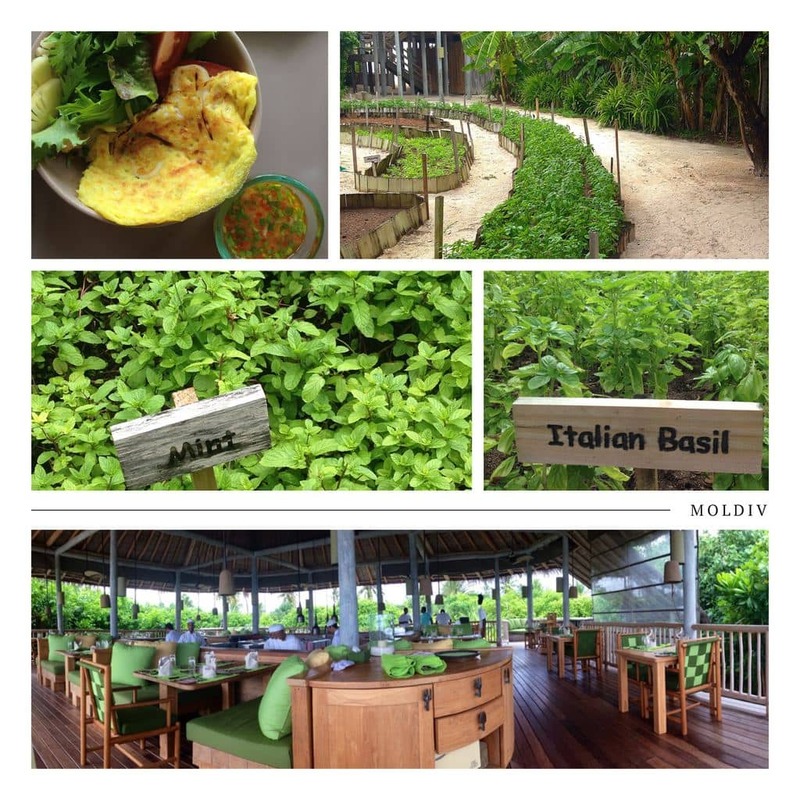 Kudos to the Six Senses for living up to expectations. What else did we enjoy? 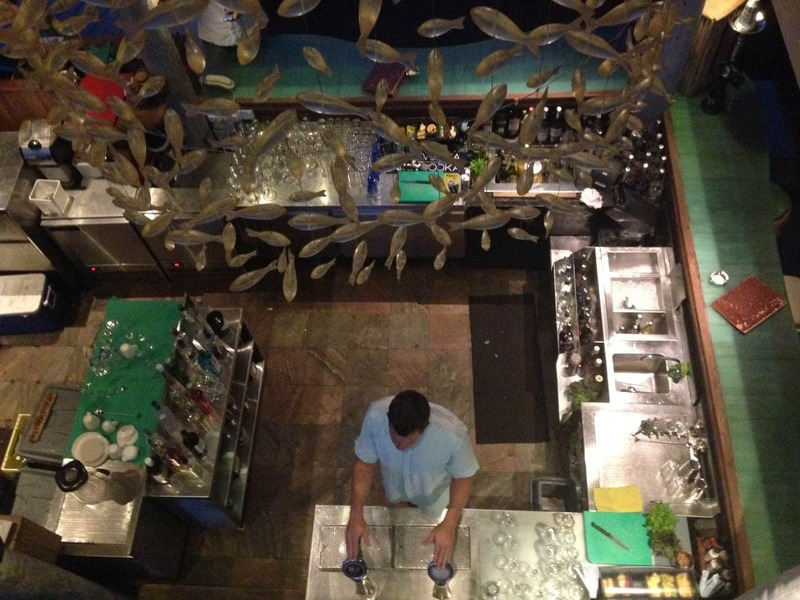 Service was prompt, impeccable and friendly at all times and from all the staff. Our villa butler or GEM – Guest Experience Maker – was efficient and anticipated our needs. something that is extremely hard to find even in the luxury and exclusive vacation destinations. Often we dialled the phone to be greeted with a real mind-reading answer. Did he have a microphone in the room? The food was excellent and there were enough options that we did not repeat cuisine or venue any evening. This is something to consider because you won’t be able to venture out to eat elsewhere so having enough choices ensures that you don’t suffer from the “all-inclusive” boring food range. At the Six Senses breakfast got us out of bed hungry every morning; there was a large spread of fresh fruits, juices of all kinds, pastries and breads, fresh crepes and waffles and all sorts of savory cooked options. Not the place to take care of your waistline! Plus the resort has a cold room filled with charcuterie and cheeses in which to indulge. We had a romantic private beach BBQ on the sandbank that is possibly one of the most romantic evenings I have ever enjoyed. We also enjoyed other creative dining experiences such as the Zero Carbon meal where no energy is used to prepare the food and the Wine Pairing Diner with the Head Sommelier that was very enjoyable and interesting. The spa was sublime and the therapists friendly and well trained. The activities menu kept us entertained when we wanted some action…It was a near perfect resort in a destination where trade-offs are the norm. At no point have I mentioned the beautiful architecture, the turquoise sea or the amazing bird’s eye view of the resort because those are taken for granted and expected of all resorts. The Maldives will not disappoint in terms of landscape and setting no matter where you stay. All islands have the whitest and finest sand beaches looking almost out of a flower carton and the most incredible lagoons. So what really varies from resort to resort is the service, the dining options and quality and range of facilities and activities available. With over 100 resorts, you are eventually guaranteed to find what you are looking for. Have you stayed at the Six Senses Laamu? 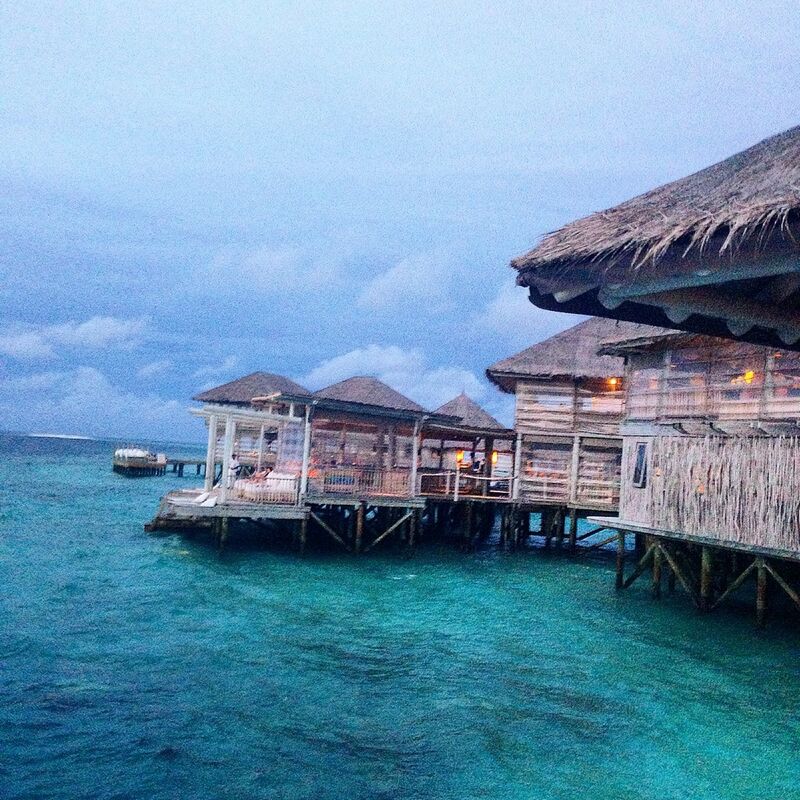 Are you a Six Senses fan?